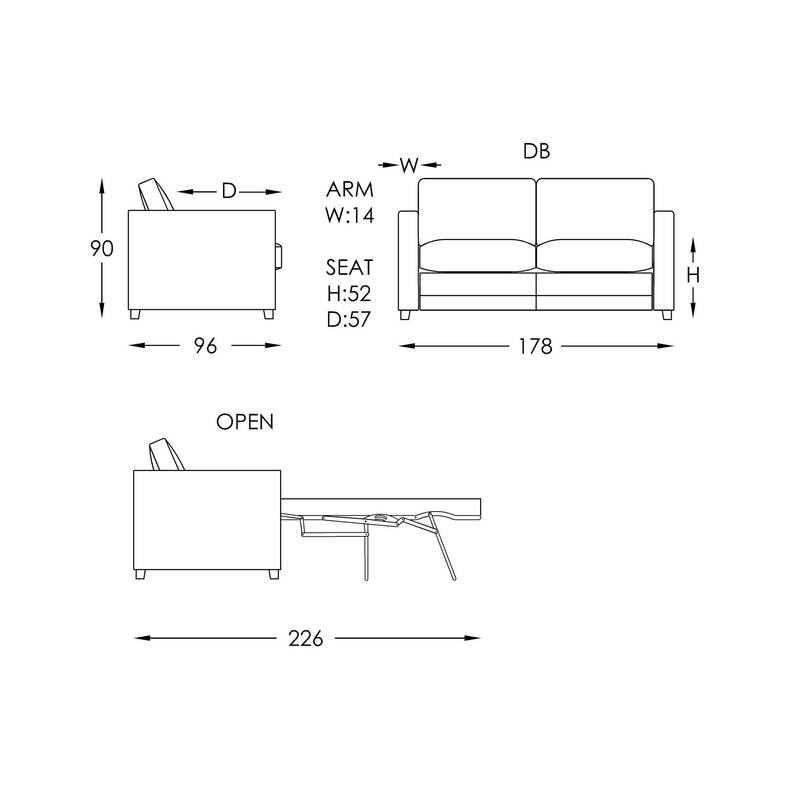 The Brubeck is a modern, compact, square arm sofa. 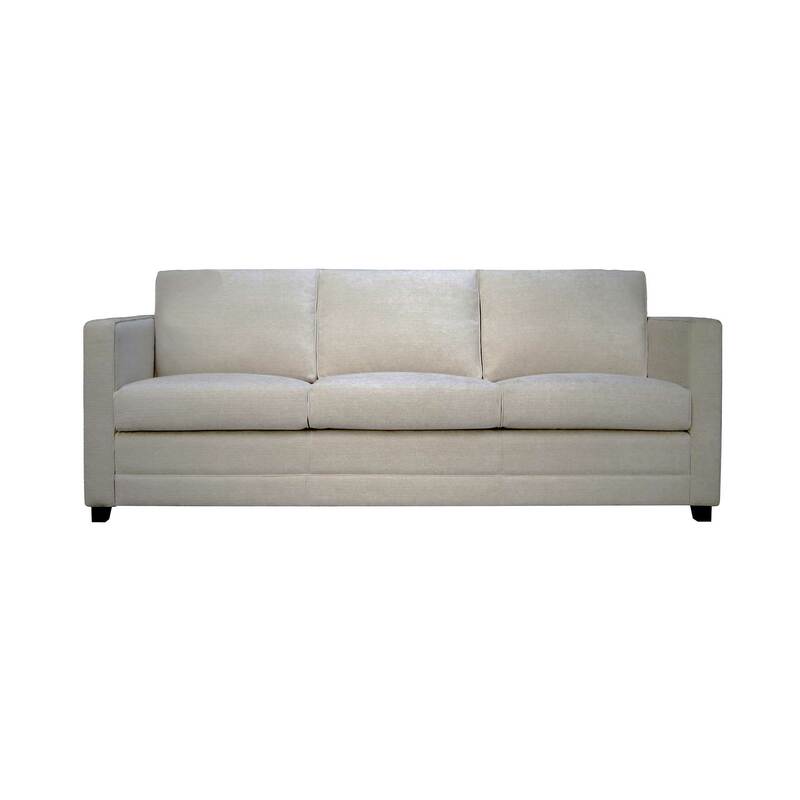 Its simple clean lines, slender arm and contemporary form will make this sofa style an easy addition into your home. With the added benefit of a cleverly concealed double bed, you will always be prepared to accommodate unexpected guests in style and comfort at a moment’s notice. 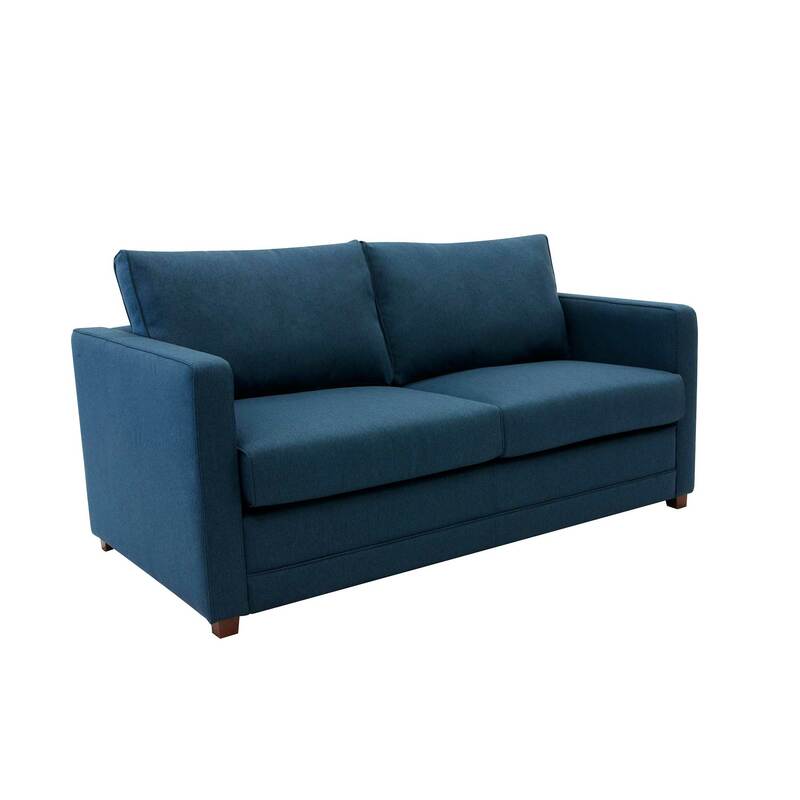 The Brubeck sofa bed is upholstered in an easy care fabric. Soft to the touch yet hard wearing, this 100% polyester fabric has a backing layer for added cushioning that will retain its structured good looks and bring ample warmth. In a splendid range of solid block colours, the Brubeck is an easy base with which to layer your decorator touches and express you personal style. 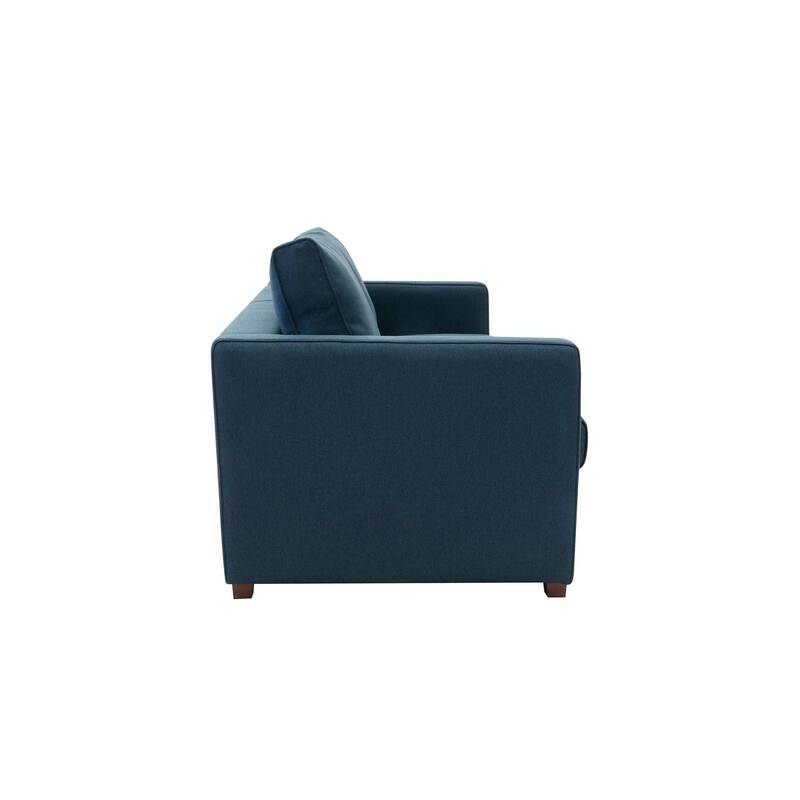 Loose reversible seat and back cushions can be easily removed to pull back the upholstery reveal that conceals the premium bi-fold mechanism within. The smooth action mechanism with supportive trampoline base supports an extra thick 13cm sprung mattress. Back cushions sit comfortably on the mechanisms built in TV head rest for a neat and sumptuous look. The Brubeck is designed in Australia, ensuring that the best aspects of Moran’s unique, luxury style are applied to new designs, staying relevant to local design influences and the modern Australian way of living. Bespoke manufacturing ensures each Moran piece made can achieve a luxurious level of comfort and attention to detailing, that often falls short with widely adopted mass production methods. The Brubeck chair features a kiln-dried, close-grain hardwood timber frame, providing the underlying quality framework needed for lasting structural integrity. Tempered Steel Sprung Structural Support ensures body correct support and the ultimate experience in long-lasting relaxation, while Spring Cell Seat Cushion Inserts add extra comfort and extend cushion performance, offering an additional layer of individualised support.